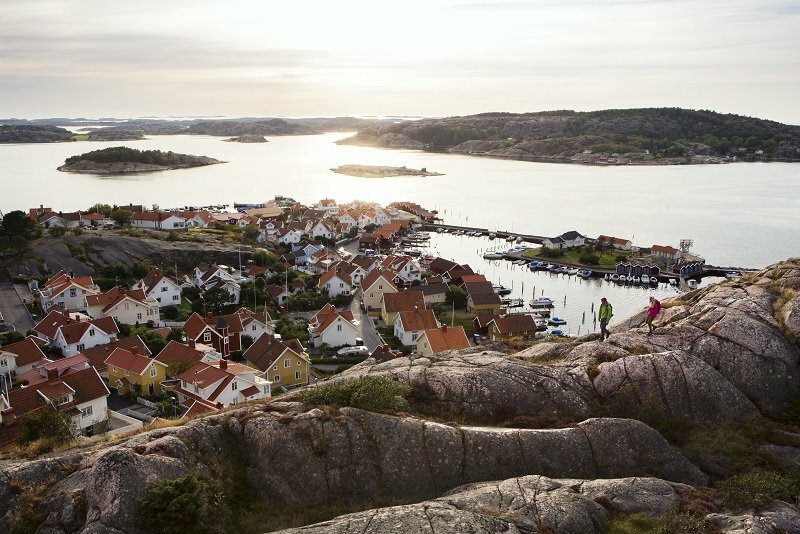 The latest selection of new holiday ideas, travel news and events in Gothenburg and West Sweden – including a new three-day cruise along the Bohuslän coast, a guided Swedish fika tour, Salt & Sill’s new biking package, a new walking trip on Marstrand Island, Way Out West’s 10 year anniversary as well as a new stand up paddling package in the city’s waterways. Scandinavia’s leading parks are investing heavily in a joint project. Gothenburg Green World promises a full programme of events and fantastic exhibitions for every season. The city has a great variety of parks and gardens – from eighteenth-century parks such as Gunnebo, to historic city parks like Garden Society of Gothenburg with its unique Palm House, and Gothenburg Botanical Garden (ranked among the best in Europe), through to the newly created Jonsered Gardens (Jonsereds trädgårdar). It started in February at Gothenburg Botanical Garden, with Wild Spring. International press trips will be held from 4-5 July. Artscape is an international street art project in Gothenburg which officially begins in the summer 2016. There will be many international artists participating, creating inspiring pieces of public art on buildings in every district of the city. Artscape is a Swedish street art organisation supplying art for the local people. The artists will start to paint in July 2016 and it will all be finished August 2016. AirDine is a social app that is a brand new innovation from Gothenburg. It’s a service that invites people to dine in people’s homes. The initiative encourages people, who otherwise would never meet, to get together and have a good time over food. AirDine transforms every home into a little restaurant. Hosts make money and meet new people and guests get to socialise and enjoy good meals. The app was made available to download from App Store in Sweden in late February. It will become available to the rest of the world at the end of 2016. In Swedish culture, fika is simply part of everyday life and means a coffee and cake break with friends. The Café Town, Alingsås, has a flourishing fika culture and is known for its authentic history of long established cafés and bakeries, which date back as far as the 1700s. Today the town is renowned as Sweden’s café center, with around 30 cafés, three of which are in the prestigious White Guide Café guide. 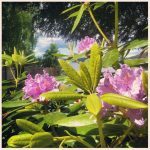 Join a fascinating guided fika tour (1.5 hours) through Alingsås, learn about the old Swedish tradition of fika, and experience the envious Swedish lifestyle. The tour includes visits to two cafés which are members of the in White guide; Ekstedts bakery & Café and Nygrens Café. Guests will also get to taste cinnamon buns, truffles, pastries and cookies. Guests also get a little goodie bag of samples to take away with them. The tour costs £29 pp (330 SEK) and is available every Saturday at 11.00 from 2 April until 29 October. 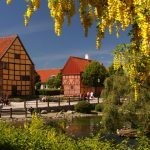 Treat yourself to a unique culinary weekend this spring at Smögens Havsbad. Start with a tour of the fish market where guests will get to know all about crayfishing and how a fish auction takes place. Then set out to sea with a local fisherman on a crayfish safari (three hours) and then enjoy a feast on your very own island where the fisherman will cook your catch and pair it with a delicious picnic basket. One back at the hotel, indulge in an exquisite three-course supper, perhaps after relaxing in the hotel’s soothing spa. This trip costs from £185 pp (two sharing) including overnight B&B at Hotell Smögens Hafvsbad, a tour of the fish market, the crayfish safari (complete with a picnic basket for the boat trip), a three-course supper and use of the spa and fitness centre. The crayfish trips are available every Saturday from now until 17 September. Call Hotell Smögens on +46 523 668450 (www.smogenshafvsbad.se). On this new three-day cruise, guests get to stay on the classic Göta Canal boat M/S Wilhelm Tham, which dates back to 1912 and still has all of its original features. This is the first time the boat has cruised along the west coast of Sweden, rather than the Göta Canal where guests experience the picturesque journey between Gothenburg and Grebbestad (and vice versa). There will be stop-offs at the quarantine island Känsö, the mythical lighthouse Vinga, Gullholmen – which is one of Bohuslän’s oldest fishing communities – the heart of Bohuslän, Smögen, the island of Marstrand – which has become Sweden’s great sailing metropolis – and Fjällbacka, where the world-famous author Camilla Läckberg’s detective novels are based on.The new cruise costs from £630 pp (two sharing) and includes two nights’ full board on the boat, all excursions and coach transfers. 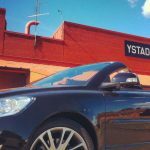 Dates available from Gothenburg to Grebbestad are 13 August & 20 August. Dates from Grebbestad to Gothenburg are 16 August & 23 August. Flights extra. Call +46 031806315. Salt & Sill – Sweden’s first floating hotel, on the island of Klädesholmen (otherwise known as ‘Herring Island’), where the restaurant serves a cuisine inspired by the sea and coast – is offering a brand new cycling package. The package will involve great local food (in particular herring), cycling and a visit to the Nordic watercolor museum and Sculpture of Pilane. The Nordic Watercolour Museum is the first European venue to host the new animation exhibition, “Disney’s Art of Storytelling”, which will showcase not only original drawings and watercolors from the early films of Walt Disney Animation Studios, but also include artwork from more recent films. Pilane is one of Sweden’s most beautiful cultural landscapes, where modern sculptures are subtly mixed with traces from the Stone Age and Viking age. The new package costs from £148 pp (two sharing) which includes one-night’s B&B, entry to the Nordic Watercolour Museum, bicycle hire for one day, a bicycle map and a three-course dinner. 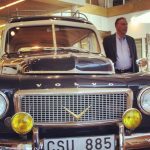 Call +46 304 673480 (www.saltosill.se). Falbygdens Osteria combines a tour of Lake Hornborga’s dancing cranes with a tour of the renowned cheese region of Falbygden in Västergötland. For more than five generations, Falbygdens Osteria has been passionate about good quality cheese. After both tours, the restaurant will serve a delicious cheese buffet, and a ‘Cheese Host’ will also be at hand to teach guests all there is to know about the local cheeses, as well as cheeses from other parts of the world. The package costs from £34 pp (395 SEK) and includes guided tours, all transport, tasting sessions and the cheese buffet. Available for stays between 19 March and 16 April. Call +46 515 717230. Spring in West Sweden marks the arrival of the oyster season, when the delicacies are at their most divine, thanks to the cold, fresh coastal waters. It’s also time for the Nordic Championships in Oyster Opening (6 – 8 May), held in Grebbestad, where 90% of Sweden’s oysters grow (90 minutes’ drive north of Gothenburg). Watch contestants race to shuck 30 oysters at impressive speeds and present them in the most attractive way. Take on the challenge of the annual Dalsland Canoe Marathon, Sweden’s largest canoe event, on Saturday 13 August. Glide along the 55km route, crossing sparkling lakes and waterways; all ages and abilities can take part. For the first time this year, there will be a new relay race where a team of four each take in turns to paddle a section of the race. Registration costs from £59 pp (700 SEK) for adults and £17 pp (200 SEK) for juniors (12 – 18 year olds). 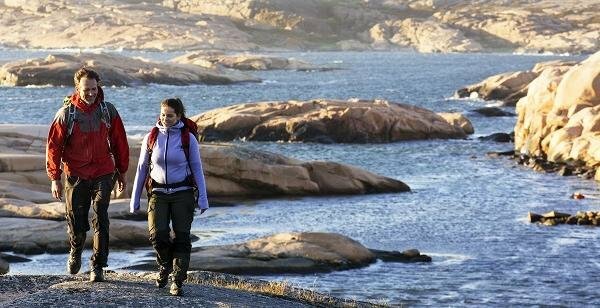 The Icebug Xperience (2 – 4 September) is a three-day 80km outdoor expedition in the stunning region of Smögen in Bohuslän, West Sweden. You can chose either to walk or run along a scenic path, weaving through sparkling pink granite rocks, whilst experiencing fantastic views of the sea’s horizon. The challenge is for all abilities, and competitors can stop for lunch, enjoy delicious locally-produced food in the evening and stay at charming accommodation along the way. The race is split into three stages and guests can choose between three packages starting £137 pp (1,600 SEK). Flights extra. Call Icebug Xperience on 00 46 031 81 70 90 (www.icebugx.com).